This Trading system is a pure momentum scalping forex strategy, It's based on the on two momentum indicators. 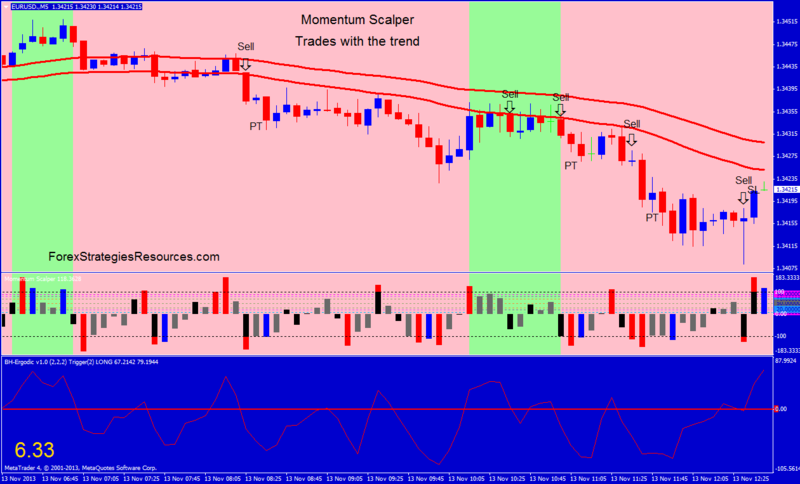 Momentum Scalper and Ergodic BH indicator. Currency pairs major with the spread >0,0001 (< 1 pips). Or 15 min with normal spread. BH Ergodic indicator (1, 2,2,2,2,). Remeber do not trade before the news!!! When appears the black bar of the momentum scalper indicator above the zero line, buy at opening of the next bar if the BH Ergodic indicator is >0 (red line). When appears the black bar of the momentum scalper indicator below the zero line, buy at opening of the next bar if the BH Ergodic indicator is <0 (red line). Profit target 4-5 pips. EUR/USD ,and AUD/USD 4 pips, GBP/USD 5 pips. Place Stop loss below or above the entry bar. moving average 25 period Low. Only buy when the price is above moving average High with the previous rules. Only when the price is sell below moving average low with the previous rules. With this change, this idea of trading is best. 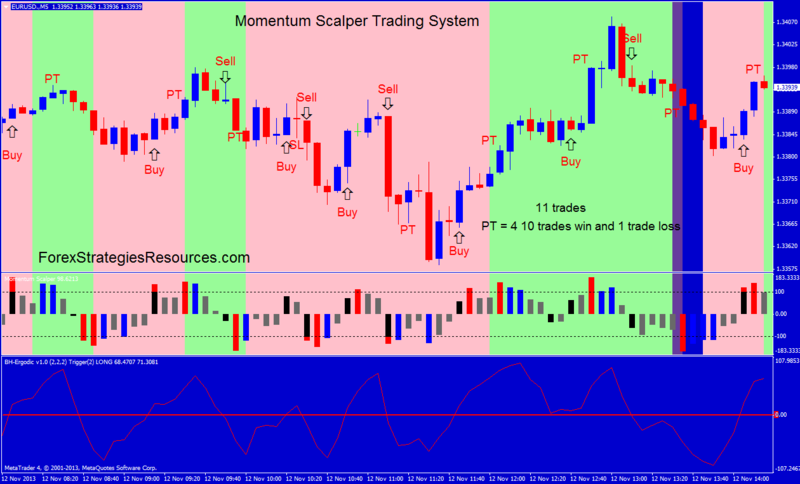 Momentum scalper trading system (template). Momentum Scalper with Ergodic indicator.